Gold plated rectangle pendant made by Michal Golan has a unique handmade quality to it. 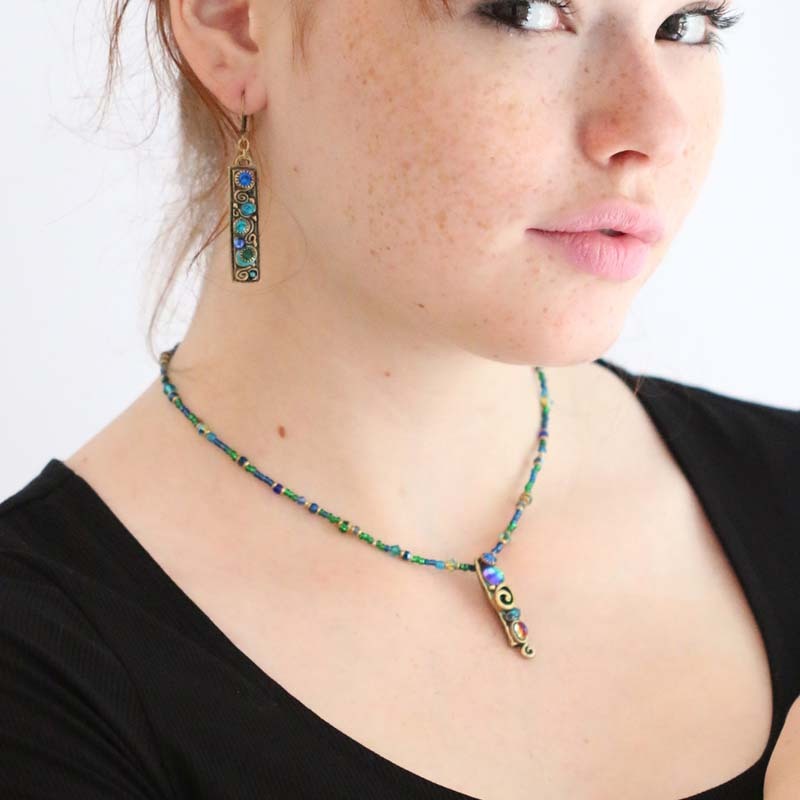 Mismatched gems and a thick golden spiral give this piece a crafty look. 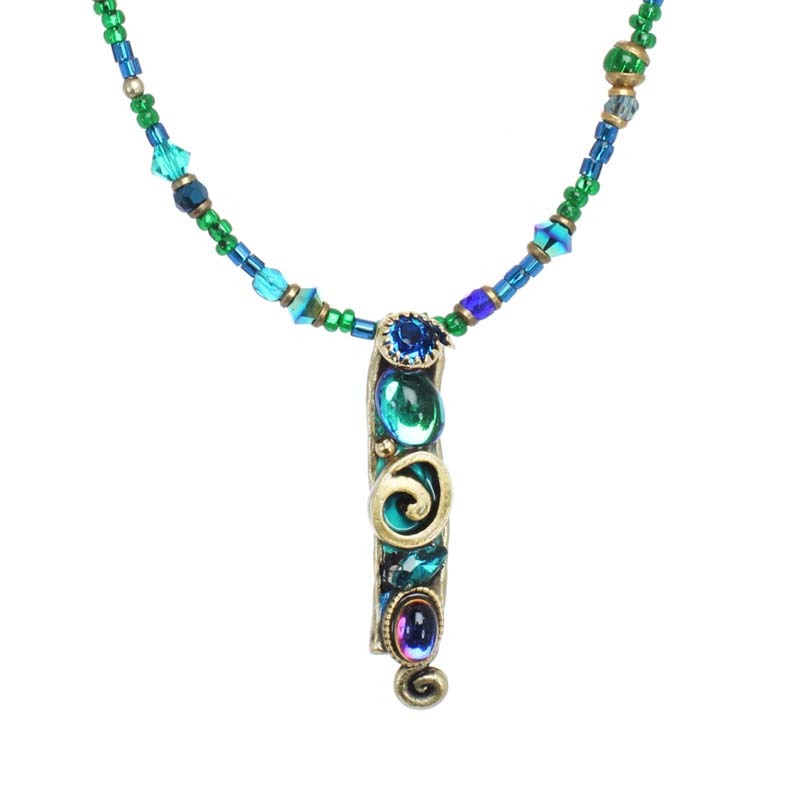 A strand of delicate blue and green beads complete the necklace.